A fair and simple gambling experience is promised to players at TTR Casino. 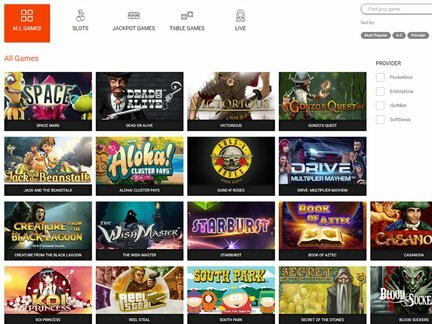 A group of experienced iGaming professionals and long-time casino players have launched a website that aims to provide top-notch service. A look at the various features of the casino can help to determine how close they are to their goal. In terms of promotions, the casino is a little behind the biggest leaders in the industry due to the fact that it only offers two promotional deals. A no deposit bonus isn't among them. A 100% up to $100 welcome bonus is a good offer. However, it's fairly standard fare among online casinos. Their weekly cashback offer is also quite small. Essentially, the casino user can receive 15% cashback on losses. That's where the promotional offer ends. The design of the website definitely confirms the casino's "simple gaming experience" motto. Fans of the minimalist design aesthetic will be delighted to browse through the various sections of the website. 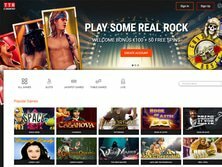 The site doesn't have the clutter that is often seen on rival casino brand pages. All the sections are clear and accessible, which helps the user to focus on the games. Since the site has chosen to offer titles from several software providers, the player is likely to appreciate the large number of game options. Some well-known software providers have been responsible for supplying the games, which only adds to the attractiveness of the offer. RNG fairness is tested by iTechLabs. The casino takes security matters very seriously. All financial transactions are conducted using SSL Encryption. Each player has a number of options when it comes to making a payment. They include Bitcoin, Neteller, Skrill, PaySafeCard, Maestro, MasterCard, Visa, Wirecard, and a few others. In order to participate in the games, the user must be at least eighteen years old. The website accepts players from places where online gambling is allowed by law. TTR Casino bonus deal offers and games won't be available to users from the following locations: Spain, United Kingdom and the United States of America. The nice thing is that the casino accepts multiple currencies ($/€). It wants to appeal to players from around the world. The support for Russian, English, and Swedish languages demonstrates this commitment. TTR provides games from the following providers; Pocketdice, Endorphina, iSoftBet, SoftSwiss, Amatic, Ezugi, and NetEnt. Their most popular games include Space Wars, Dead or Alive, Victorious, Book of Aztec, Casanova, Jack and the Beanstalk, Gonzo's Quest, The Wish Market, Starbust, Guns N' Roses, Creature from the Black Lagoon, Diamond Cats, Lovely Lady, Reel Steal, Drive: Multiplier Mayhem, Aloha! Cluster Pays, Koi Princess, Wolf Moon, Admiral Nelson, Secret of the Stones, Red Chilli, Elements: The Awakening, Steam Tower, Wild Shark, The Invisible Man, Flowers Christmas Edition, Platoon Wild, Skulls of Legend, Aliens, Arising Phoenix, Football Champions Cup, Wonky Wabbits, South Park Reel Chaos, Neon Staxx, Book of Pyramids, etc. Players can choose games from categories like; Slots, Jackpot Games, Table Games and Live Games. This casino gets terrific reviews from users. Only some minor issues with the currency support were noted. The casino has done a good job in responding to incoming inquiries. They continue to offer customer support via e-mail and live chat. The website is operated by Direx N.V., which functions under the laws of Curacao. In 2016, the casino went public. The Curacao eGaming license is not considered to be a quality stamp of approval. However, the license is good enough for establishing legal operations. In my opinion, the online casino is quite solid. It offers a plethora of games within a player-friendly and easy to navigate online environment with a generous welcome bonus. Personally, I would complain about the lack of no deposit promo deals. I would also like to a see a few other deals in the promotions section. But I am generally hopeful about the future of this casino.